Restoring Galileo is a labor of love for trekkies Adam Schneider and Alec Peters. "It's really the biggest surviving movie or TV set probably of the modern era," Peters told space.com. "The Galileo was such an important part of 'Star Trek,' and not just 'Star Trek,' but literally the consciousness of the space program. 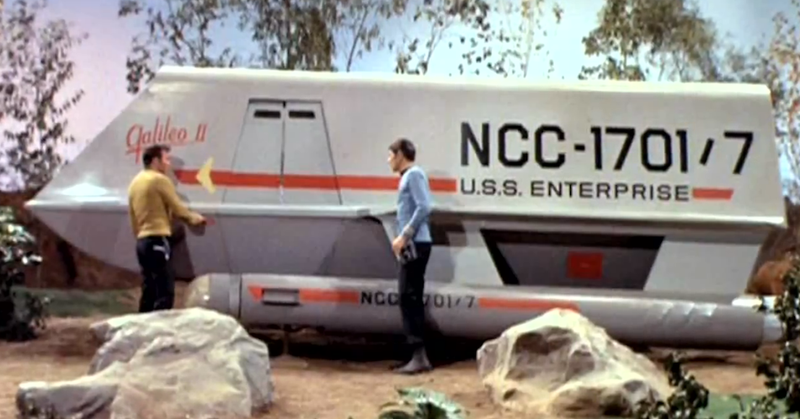 It really is the precursor to the space shuttle Enterprise." A collector of spaceships, Schneider got Galileo at an auction in 2012, in Ohio were it had been stored for 20 years. When Galileo shines again, it will find a new home in a space museum. But Winfield had to build the 24 x 14 ft shuttle in one month and the tight deadline dictated Galileo's looks. The shuttle's interior was built separately. It had removable walls so cameras could shoot from either side and was outfitted with knobs and buttons from a local electrical surplus store. While the Star Trek shuttle along with the show's popularity may have influenced building the actual space shuttles, the concept of reusable launch vehicles was explored as early as the 1920s by German experimenters. In the 1950s NASA and the Air Force considered the Aerospaceplane but the program was shut down. Nanobots against cancer, are they here yet? Quiz - can you tell the book by its map?